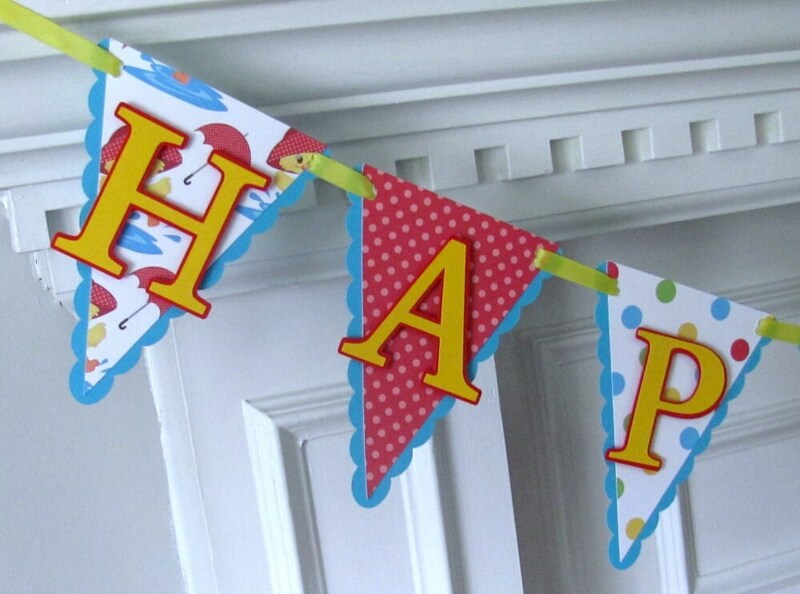 This listing is for a cute spring time birthday banner in a scalloped pennant style. These adorable designer papers featuring spring showers and ducks will delight your birthday boy/girl. 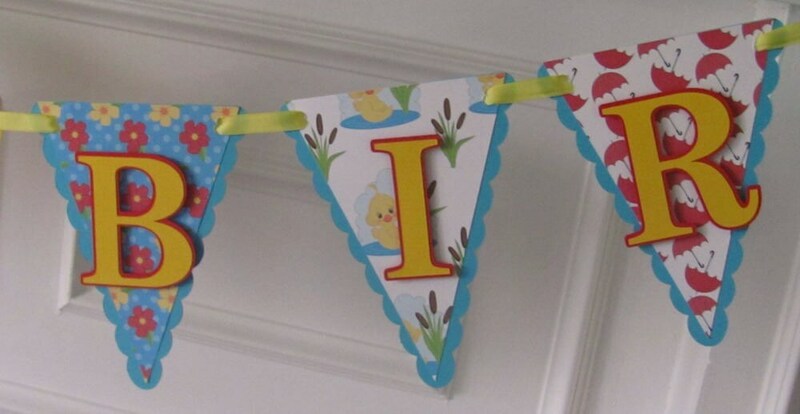 Pennants are 41/2" wide and are 2 layers-teal with designer paper overlay and letters have been done in red and yellow and are raised for a 2-D effect. Banner is strung with yellow grosgrain ribbon. 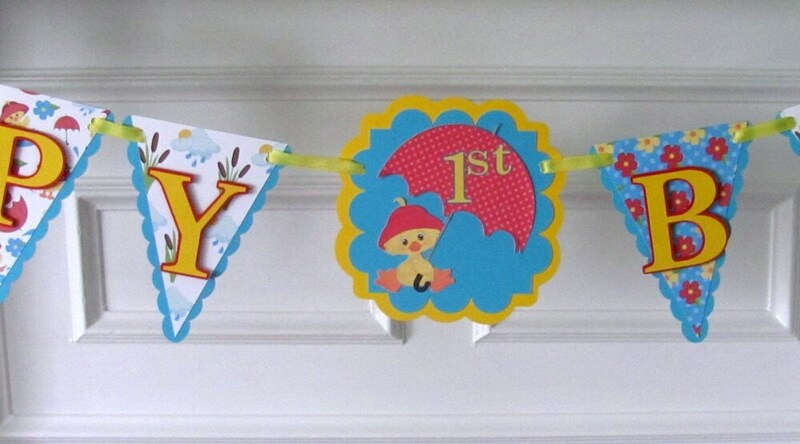 Banner may read simply Happy Birthday or Happy 1st (2nd, etc) Birthday. Please provide age in notes to seller at check out.